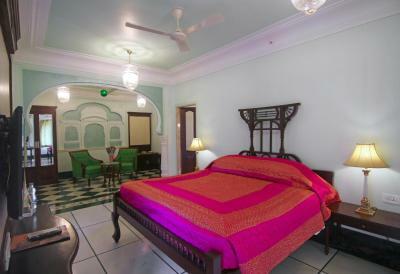 Lock in a great price for Shahpura House – rated 9.2 by recent guests! Breakfast was good as per the star rating and could be more better.. Location was also good but without own conveyance it seems bit difficult to approach to market etc. because auto rickshaw are less available their...rest it is fine!! Value for money was excellent. Room were beautiful and quite clean. Location was good. Staff was courteous and the pool was a welcome edition especially during the afternoon. Overall stay was excellent. Received royal welcome with garlands, teeka, etc. Small but elegant property. 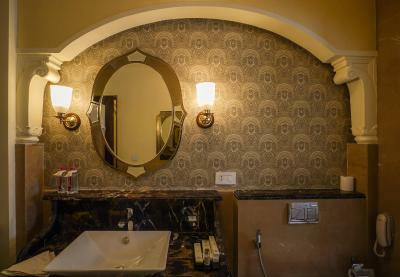 Genuine feel of staying in a heritage hotel. 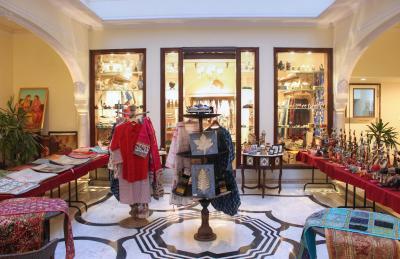 Loved the style - old 'haveli'. Courteous and friendly staff. 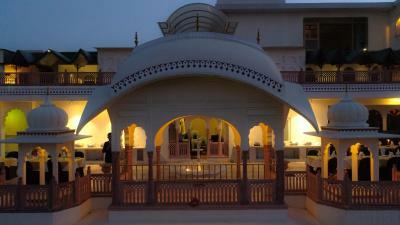 The staff was amazing from the front door up to the restaurants and the housekeeping. 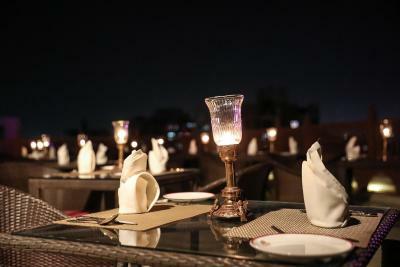 The spa was great and the restaurant at the roof had amazing food and staff. I can’t recommend enough this place. Deserves 5 stars for sure. 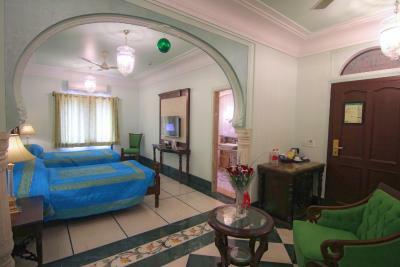 The rooms are spacious and warmly done up. The facilities are modern. The staff very courteous and helpful. 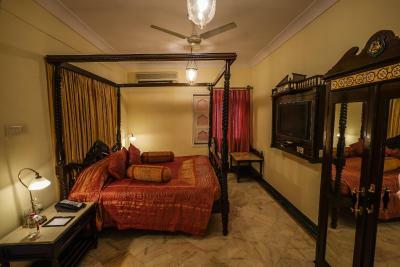 Hotels in India are independent sanctuaries completely separate from their external surroundings. 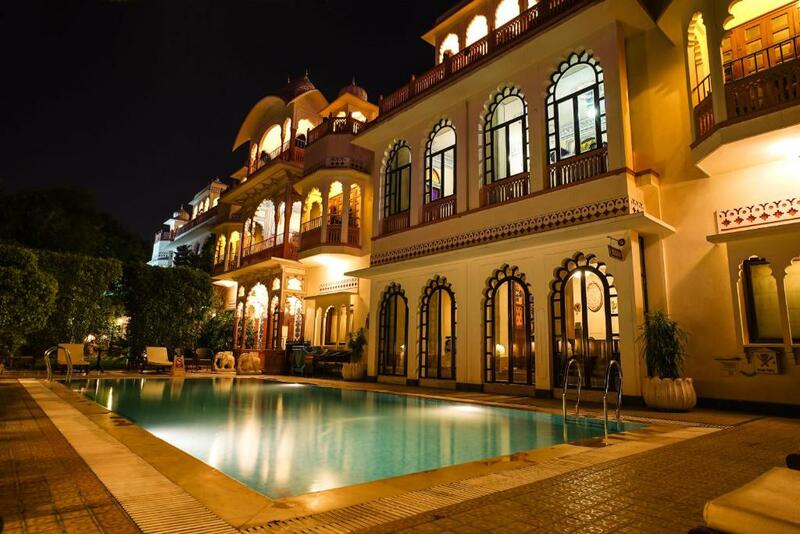 Shahpura House is in a nice area of Jaipur, but you wouldn’t necessarily anticipate how gorgeous the hotel is from the outside. Once past the building walls, there is a small entry way, where we sat our luggage, and a gentleman bestowing flower necklaces upon us as we entered. 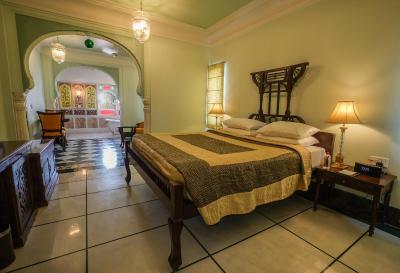 The hotel was immaculate, the rooms quite original and completely satisfying (very clean, comfortable beds, good hot water). 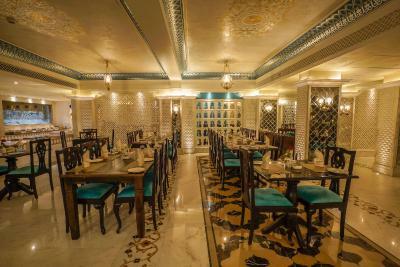 Something different about India hotels that I’ve seen than other places in the world is that at the hotels you can get a great meal for a very reasonable price - not like in the US where a hotel meal will be prohibitively expensive and taste like absolute garbage. The service was wonderful all around. My wife and I took so many different pictures throughout the property. 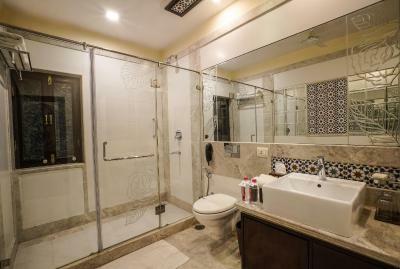 The property was well maintained and it was in a good location. We had no trouble booking an Uber to go out to other attractions within the city and outside. We stayed here for 3 nights and 4 days in a suite and overall enjoyed our stay. 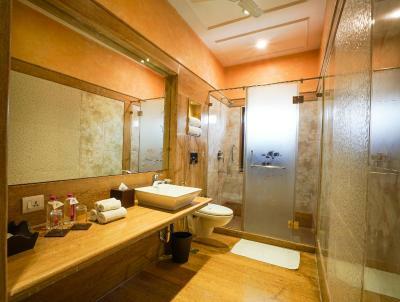 The bathroom was clean and well maintained as well. The room service was top notch and so were the staff members! 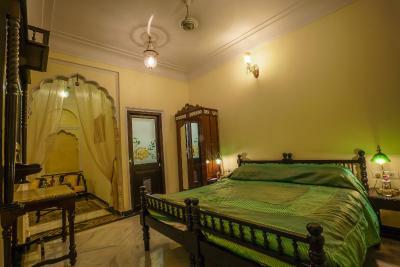 Shahpura House This rating is a reflection of how the property compares to the industry standard when it comes to price, facilities and services available. It's based on a self-evaluation by the property. Use this rating to help choose your stay! 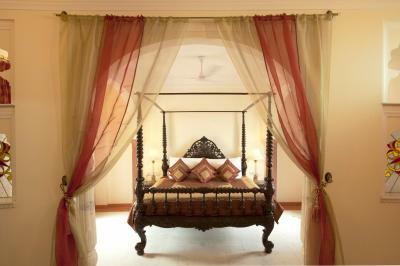 One of our best sellers in Jaipur! 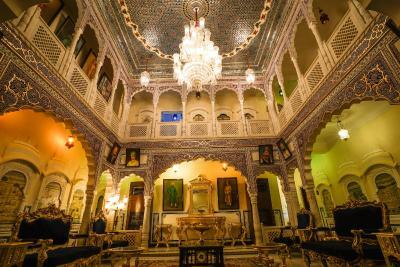 Featuring traditional Rajput architect, a mixture of Mughal and Indian, a facade with domes and frescoes, Shahpura House is also home to the ruling royal family. 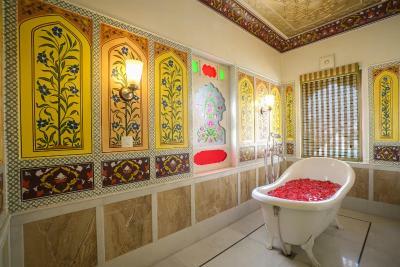 The hotel has a large pool, spa and wellness center and unique accommodations with free WiFi. 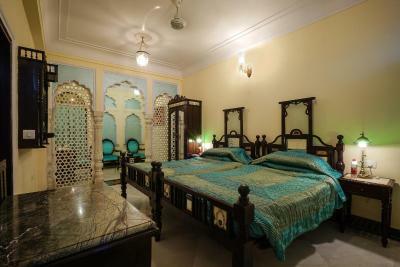 Shahpura House’s charming rooms are luxuriously furnished. 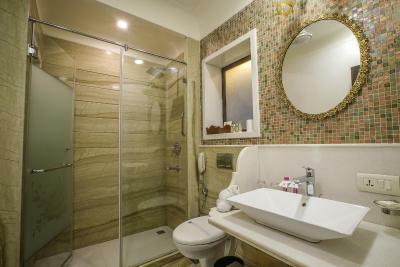 Bathrooms come with a bathtub and a shower, while rooms are equipped with a flat-screen TV and a mini-bar. 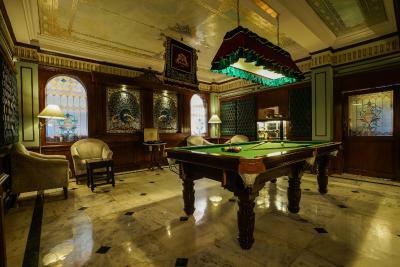 Each room is decorated with marble and semi-precious stones. 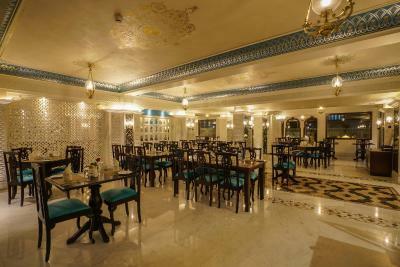 Guests can enjoy an authentic Rajasthan meal and a refreshing beverage at Rang Mahal Restaurant. 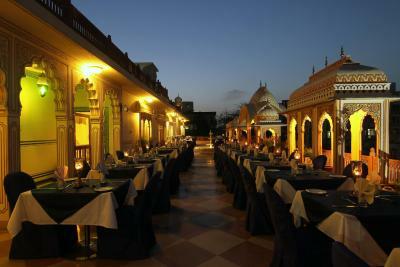 Great views of Amber Fort and Aravali Hills accompany meals. 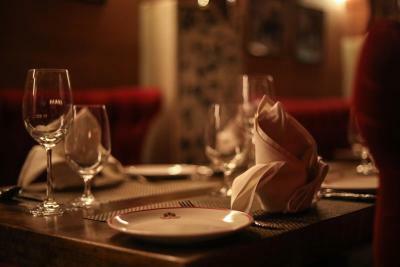 The restaurant also has an international menu. 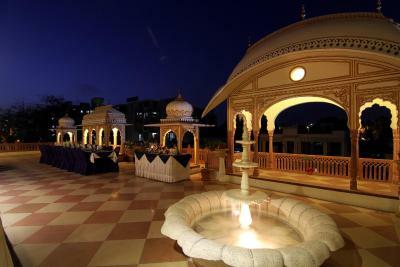 The property also houses a rooftop and a poolside restaurant. 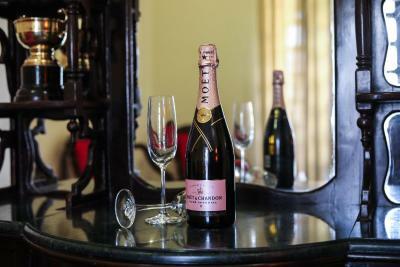 Guests can enjoy a variety of beverages at the Bar. 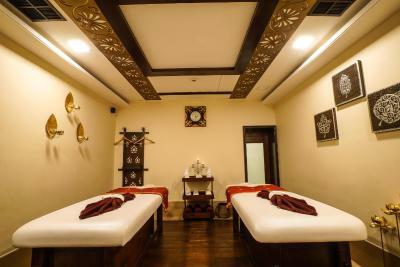 Recreational facilities include a game room, horse riding and a tour desk, which organizes excursions to local attractions. 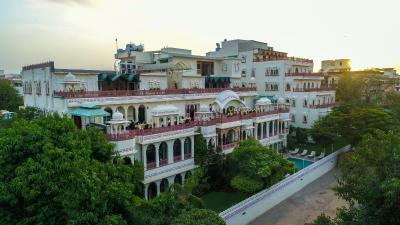 The 4-star hotel is 11 mi from Jaipur Airport and 0.6 mi from Jaipur Railway Station. 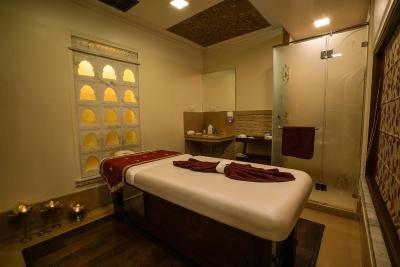 It is a half hour drive from various tourist attractions like Jaigarh Fort, the City Palace and Hawa Mahal, while the city center is 2.5 mi away. 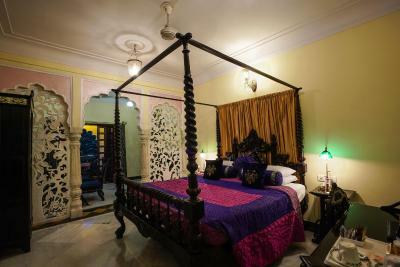 When would you like to stay at Shahpura House? 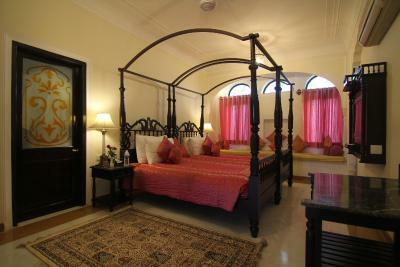 Featuring a traditional Rajasthan decor. 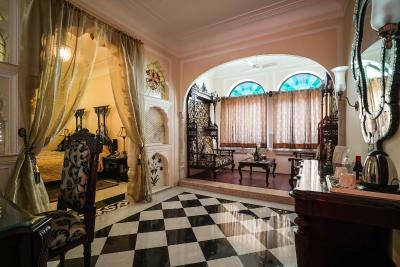 Some suites come with carved, marble pillars. 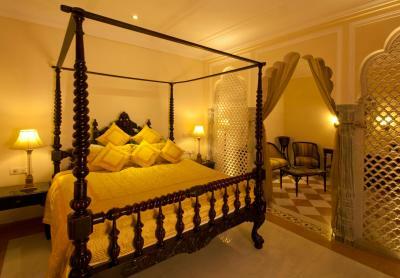 Spacious suites featuring decor reminiscent of Maharajas accommodations. they have private balconies facing the pool. Featuring a private large terrace with spectacular views of the city, these air-conditioned suites are the most spacious with a large sitting area. They provide complete privacy, with private elevators. 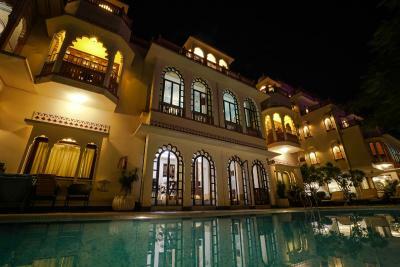 House Rules Shahpura House takes special requests – add in the next step! Shahpura House accepts these cards and reserves the right to temporarily hold an amount prior to arrival. Lovely warm welcoming and good vibes straight away. 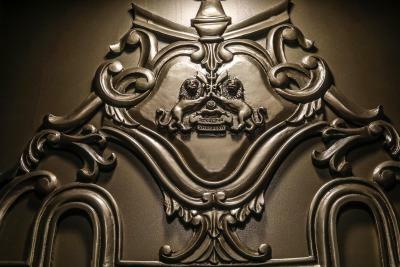 Beautiful deco. Door locked several times. But they are really helpful to solve the problems. 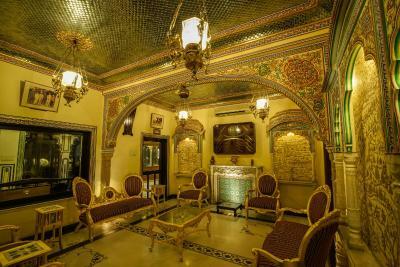 Hotel interior super, it’s like Maharaja palace. Foods ate awesome. Hotel stuffs are we’ll mannered. Shuttle service was advertised for free, and was a very high additional fee. I wish the pool would have been opened later. More towels in the bedrooms. Breakfast was fantastic. Lots of options, freshly prepared omelettes, beautiful restaurant, friendly staff. Food was delicious and plentiful. We had to wait a bit to check in and got old plastic recycled key cards to get into our room. 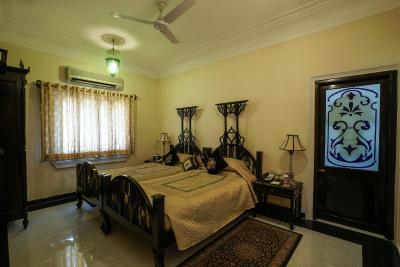 Clean large bedrooms and bathrooms with modern fittings. Nothing really . 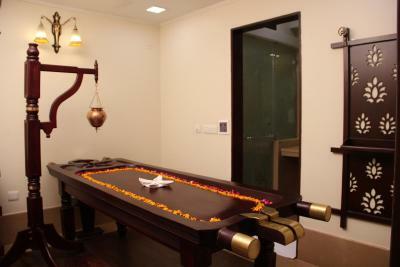 Perhaps lacking the atmosphere of an more traditional property but that is purely personal taste. 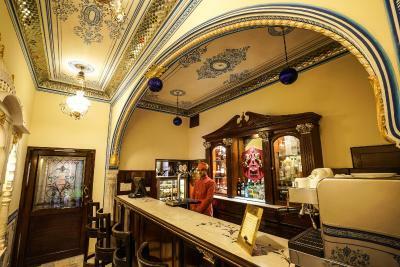 Beautiful hotel - very ornate design. Very modern clean rooms a pleasure to return to after hot day in Jaipur . Nice looking pool area and garden. 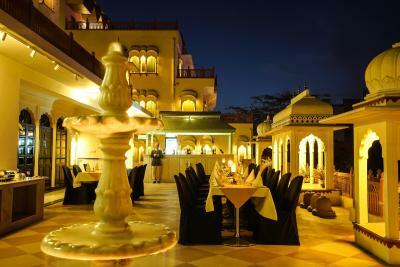 Good restaurant on top floor with tasty Indian food. Buffet on second restaurant nice but food , a buffet nothing special . Good entertainment pit on folk dancing and music - amazing dancing music a bit painful to western ear but certainly fun. 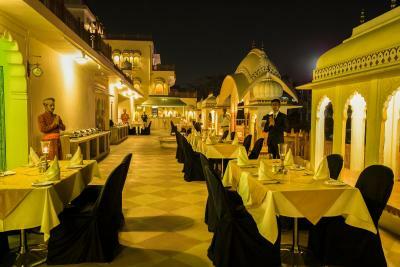 The daily cultural show was a bit too loud and long for us; it took place during the buffet dinner that was served in the outside dining area, so if you wanted this dining option you couldn't avoid it- it seemed to be on every night. We would have preferred this to be on for perhaps 30-40 minutes at the beginning of the evening instead. There was another option for an Indian restaurant at the hotel though. We had an Indian dinner on the second evening and it was delicious. Just such a lovely hotel. 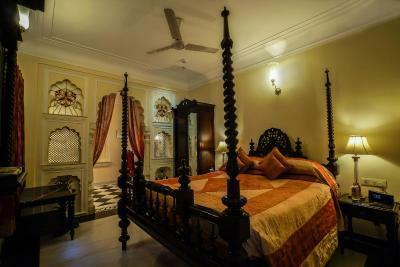 Historic haveli, very efficiently run. Clean comfortable, friendly, helpful. Good breakfast choice. - basically anything you could want. 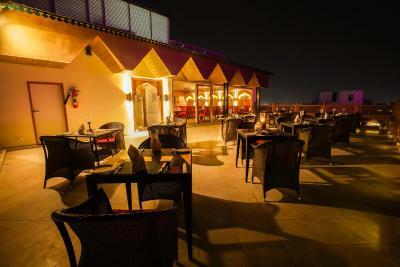 Excellent roof top restaurant with good views. 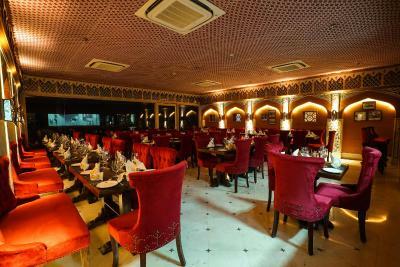 Good buffet and entertainment restaurant on the 2nd floor. Lovely clean pool. We were welcomed here with kindness and consideration. Staff greeted you every time they met you. Requests were dealt with quickly. Very close to most major attractions but in a quiet street. The whole experience was just great. Enjoyed relaxing around the pool with plush towels provided.